At first glance, it seems a bit ridiculous to pit the Star Wars sequels against the prequels. The easy comparison is between The Force Awakens and the original trilogy, since the former is a continuation of the latter and features many of the same characters. The prequels are basically just extended backstory while the sequels are passing the torch forward to tell something new. TFA was pretty universally loved while the prequels were…not quite as admired. Surely there’s nothing the prequels could offer in terms of advice for the sequels. It is true that both trilogies have differing relationships to the original trilogy. For the prequels, the originals are the endpoint while for the sequels, they’re just the start. You can’t approach them the same way from a narrative and creative point of view. However, I think it’s worth looking at what the sequel trilogy as a whole could learn from the prequels. After all, both trilogies are basically reaching for the same goal: continue the story of the Skywalker family while living up to the high regard of the originals. That’s not an easy task. And yes, I’m aware that this may seem counterproductive since pop culture at large tends to have a less than favorable view of the prequels. But there is a lot that the prequels did well, and even where the prequels didn’t succeed there’s something to be learned. When you’re making a sequel, what better way to do so than to look back at what came before to see what worked and what didn’t? And so, there’s three areas in particular where I think the Star Wars sequels would do well to take notes from the prequels. Oh yeah, you read that right. This is happening. I’ll be getting into The Force Awakens details below, incidentally, but nothing that hasn’t been officially revealed. A lot of the news and speculation lately has been about alignments: Kylo Ren is a big fan of Darth Vader, but he’s not a Sith. He’s part of a group called the Knights of Ren, but what are they, exactly? Are they actually Imperials in some respect, or just a cult that he went rogue from? Abrams seems to be talking about two different things, here—actual ex-Imperials seeking to get things moving again, and perhaps also a younger generation who “admired” the Empire but weren’t actually a part of it. Just going by ages, it seems logical that Phasma, General Hux, and presumably even Kylo represent the latter, because they would have been toddlers when Palpatine died—if that. Maybe they’re acting completely of their own volition, but if so, who are the retired Nazis in this analogy? » Read more..
Disney Book Group is doing something rather interesting – they’re publishing a series called A Twisted Tale, which takes their extremely well-known animated features and shooting their stories off in an alternate direction by changing a key fact of the story. It’s a little like Back to the Future II, and if we have to explain that reference to anybody we’re going to be very distressed. Now, this idea is pretty cool not just conceptually, but because Disney is pretty strict about the use of its animated brands on a level fairly comparable to Lucasfilm. So if they’re willing, why not Star Wars? 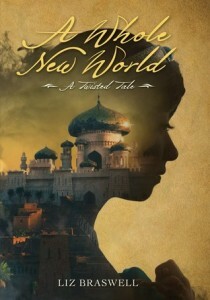 The first book in the series is called A Whole New World, and it’s an Aladdin alternate universe story by Liz Braswell. It’s a pretty fun story, and so we’ll illustrate what we mean about Star Wars by reviewing this book. It’s a darker and more realistic take on Aladdin, being geared towards young adults who might have grown up on Aladdin (though folks like us who saw it in theatre are decidedly past the young adult stage, at least “young adult” as it’s understood in publishing). The story follows along the movie at first, developing it the way a film novelization might, until the point at which Jafar sends Aladdin to recover the lamp: Jafar betrays Aladdin but manages to keep the lamp, and is able to institute his dark plans far earlier. He becomes a sultan and sorcerer, and Princess Jasmine has to escape and become a revolutionary leader… which is a version of Aladdin we never knew we needed until now. And that’s the beauty of an alternate universe story: it can be more than just a plot twist if it explores different sides of characters or a different type of story. 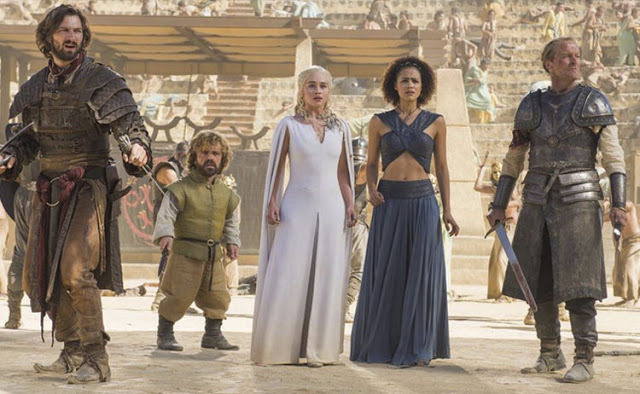 Pop quiz, hotshot: which great science fantasy franchise is returning to the world in 2015 after many years of absence? Why, Mad Max, of course! George Miller’s post-apocalyptic series has returned to us, and it appears to be in better shape than ever. Critics and audiences appear to be in love with this movie, so it would seem like it’s time to take a good look at it. 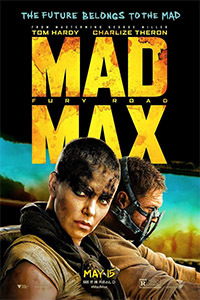 So get your driving wheel from the pile, spray your face so you can enter Valhalla, and come with us to see the lessons Star Wars could learn from Mad Max: Fury Road! Desert wastelands. Ridiculous character names like Rictus Erectus or Toast the Knowing. Punk aesthetics and ridiculously souped-up vehicles. Extreme close ups before crashes. Low camera angles during chase scenes. These are the aesthetic choices Miller and Byron Kennedy applied to The Road Warrior back in 1981 and turned it into a global phenomenon. These are exactly the same choices Miller applied to Fury Road in 2015. And why wouldn’t he? You don’t even need to see the main character driving his Pursuit Special to know you are watching a Mad Max movie: it’s obvious from the first minute that you are back to the universe you left thirty years before. The movie uses some CGI here and there, when practical effects just won’t do it, but it manages to feel as genuine and gritty as The Road Warrior felt. It goes without saying, but the same thinking could easily apply to Star Wars: there’s nothing wrong with Star Wars just as it is. We love the way it is, with its simple plotlines, its black and white characters, and its cheesy names. There’s no need to “bring Star Wars to the twenty-first century”. It’s still great! Don’t mess with it! » Read more.. Unlike Star Wars, there are numerous versions of Transformers and you don’t even have to factor in Michael Bay’s version! 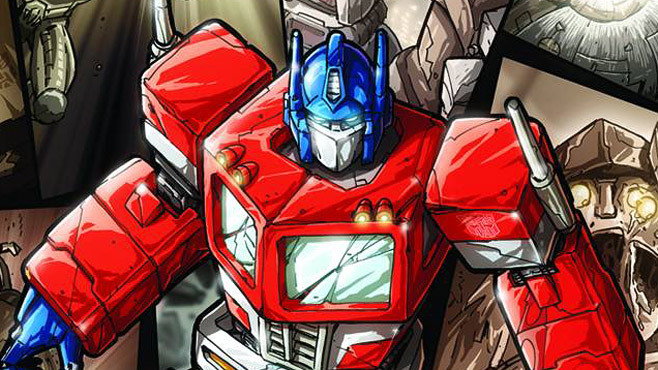 Marvel UK, Marvel US, Dreamwave, IDW – that’s four variants right there and there’s likely a few more still. It is IDW’s reboot, started several years ago, with Simon Furman writing it, that has the most lessons to impart to Star Wars, if it but listens. Furman’s arc re-imagined Transformers, with a multi-front galactic war being fought between the Autobots and Decepticons. No longer were they limited to Earth, no longer was it all set on one planet – though Earth did become a significant resource due to Shockwave’s age-old plotting. In this new structure both Megatron and Optimus Prime were generals, marshalling troops and resources on a galactic scale. Thus, when both take a hand in events on Earth, it is indeed A Big Deal™. » Read more..